I’m yet to watch the movie. Intend to do that over the weekend. There are too many things happening out here, for me to sit back and watch a film in leisure. The concept is appealing, and the bits that I viewed, while converting it, displayed some decent work in animation. Simple can be a lot of fun. Since in a welcome move the creator of the film Nina Paley has shared it under a Creative Commons Attribution-Share Alike License, I’m putting it up here and in different formats to suit different needs. Sita is a Hindu goddess, the leading lady of India’s epic the Ramayan and a dutiful wife who follows her husband Rama on a 14 year exile to a forest, only to be kidnapped by an evil king from Sri Lanka. Despite remaining faithful to her husband, Sita is put through many tests. Nina (the filmmaker Nina Paley herself) is an artist who finds parallels in Sita’s life when her husband – in India on a work project – decides to break up their marriage and dump her via email. Three hilarious Indonesian shadow puppets with Indian accents – linking the popularity of the Ramayan from India all the way to the Far East – narrate both the ancient tragedy and modern comedy in this beautifully animated interpretation of the epic. In her first feature length film, Paley juxtaposes multiple narrative and visual styles to create a highly entertaining yet moving vision of the Ramayan. Musical numbers choreographed to the 1920’s jazz vocals of Annette Hanshaw feature a cast of hundreds: flying monkeys, evil monsters, gods, goddesses, warriors, sages, and winged eyeballs. Nina Paley (b. May 3, 1968, Champaign, Illinois, USA) is a longtime veteran of syndicated comic strips, creating Fluff (Universal Press Syndicate), The Hots (King Features), and her own alternative weekly Nina’s Adventures. 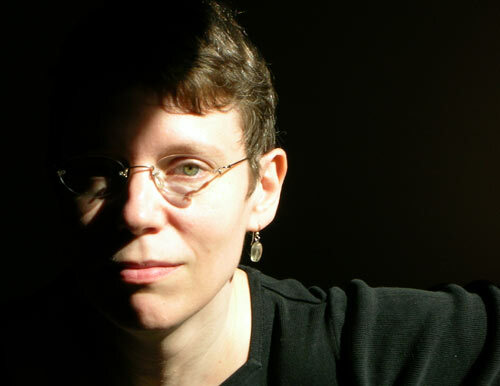 In 1998 she began making independent animated festival films, including the controversial yet popular environmental short, The Stork. In 2002 Nina followed her then-husband to Trivandrum, India, where she read her first Ramayan. This inspired her first feature, Sita Sings the Blues, which she animated and produced single-handedly over the course of five years on a home computer. A transcript for the film is available here. · Better than RGV Ki Aag? · Caught in a Time Warp?